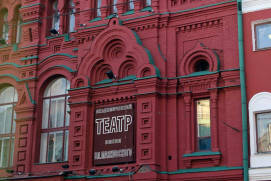 People’s Artist of Russia Roman Viktyuk made a splash in Moscow’s theatrical life in the 1980s. 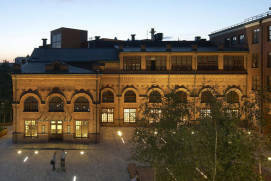 While others were still embroiled in somber academic theatre, he transformed the dramatic arts into magical comedy shows overflowing with drive, talent and excitement. 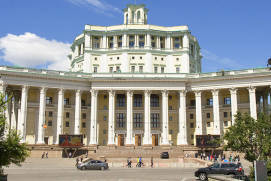 During his long career, Roman Viktyuk, who graduated in 1956 from the Department of Acting of GITISRussian: ГИТИС (Russian University of Theatre ArtsRussian: Rossiyskiy institut teatralnogo iskusstva or Российский институт театрального искусства), has worked in different theatres in the cities of Lvov, Kalinin (now Tver), Kiev and Vilnius. 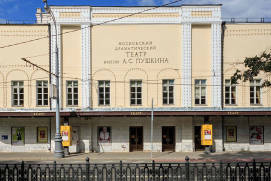 He directed productions at the Moscow Art TheatreRussian: Moskovskiy khudozhestvennyi akademicheskiy teatr or Московский художественный академический театр and the Mossovet TheatreRussian: Teatr im. 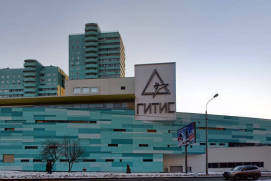 Mossoveta or Театр им. 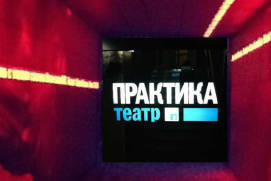 Моссовета, revived Music LessonsRussian: Uroki muzyki or Уроки музыки (a banned play by L. Petrushevskaya) in the middle of the Stagnation Eraa period of negative economic, political, and social effects in the Soviet Union, which began in 1964 and continued till 1986 and later received international recognition for staging J. Genet’s The MaidsRussian: Sluzhanki or Служанки at the Satyricon TheatreRussian: teatr «Satirikon» or театр «Сатирикон» in 1988. 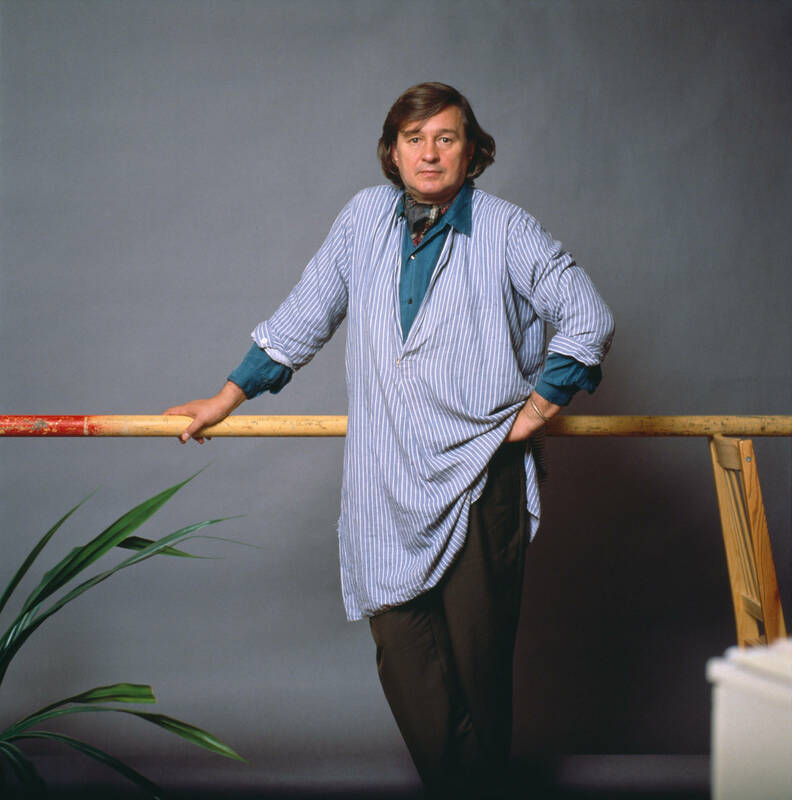 The Maids became Roman Viktyuk’s signature work and his creative legacy. 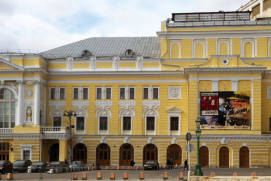 This is largely because all female parts were played by the best male actors of the Satyricon Theatre (Konstantin Raikin, Nikolai Dobrynin and Alexander Zuyev). 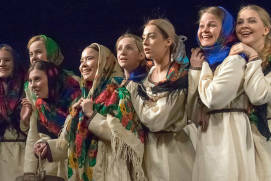 This small-scale cultural revolution, which was, in fact, a return to the origins of ancient theatre, where women weren’t allowed to perform on stage, marked the beginning of a new chapter in Viktyuk’s creative career. 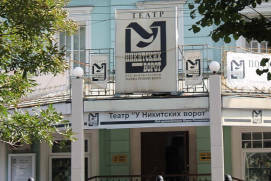 Two years later M. ButterflyRussian: M. Batterflyay or М. Баттерфляй, (based on a play by D. Juan, opened the Roman Viktyuk TheatreRussian: Teatr Romana Viktyuka or Театр Романа Виктюка, which is one of the best known and most frequently touring theatres in Russia. 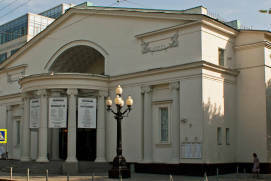 This dramatic theatre was initially conceived as a non-repertory theatrical enterprise. 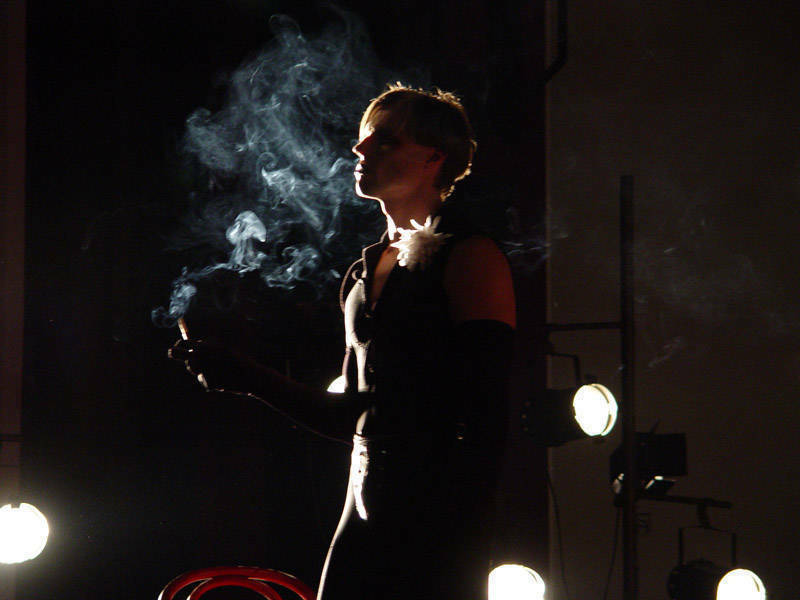 It had gathered a team of actors coming from different troupes who shared a similar creative approach, and they convened to perform together in several productions. 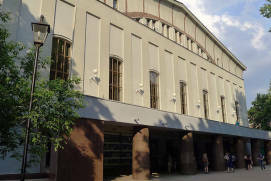 At the time, the new theatre set itself apart with unusual artistic forms, tolerance for all kinds of experimental approaches and boldness in choosing its literary sources. 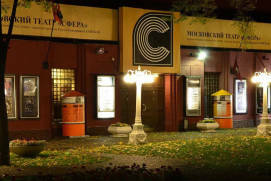 The theatre’s artistic director, Roman Viktyuk, keeps these principles alive even today. 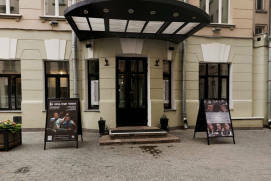 On our website we have collected the most interesting Moscow events of the year. 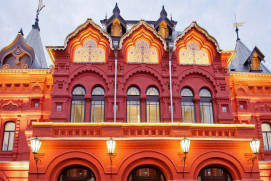 If you want to learn more about Moscow concerts, Moscow opera, ballet in Moscow or you need information on where to buy Moscow theater tickets you will find a lot of useful information on our webpages. 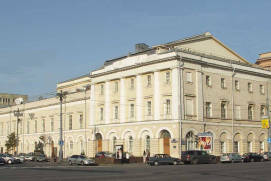 As early as 1996, the Roman Viktyuk Theatre acquired the status of a state theatre and a building of its own, located on StromynkaRussian: Стромынка Street in Moscow’s SokolnikiRussian: Сокольники district. 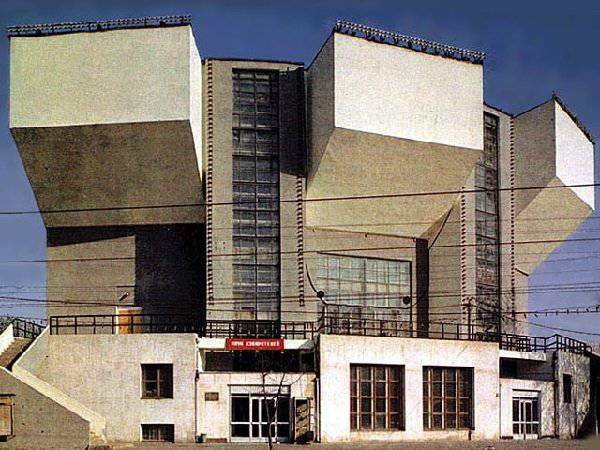 It is a curious coincidence that the most avant-garde theatre of post-perestroika Russia was housed in an avant-garde building, the Rusakov Workers’ ClubRussian: Dom kultury im. 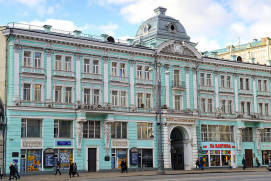 I. Rusakova or Дом культуры им. 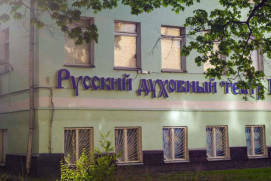 И. Русакова. 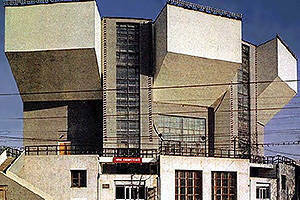 It was designed by constructivist architect Konstantin Melnikov in the early 20th century, and it is a truly state-of-the-art building. 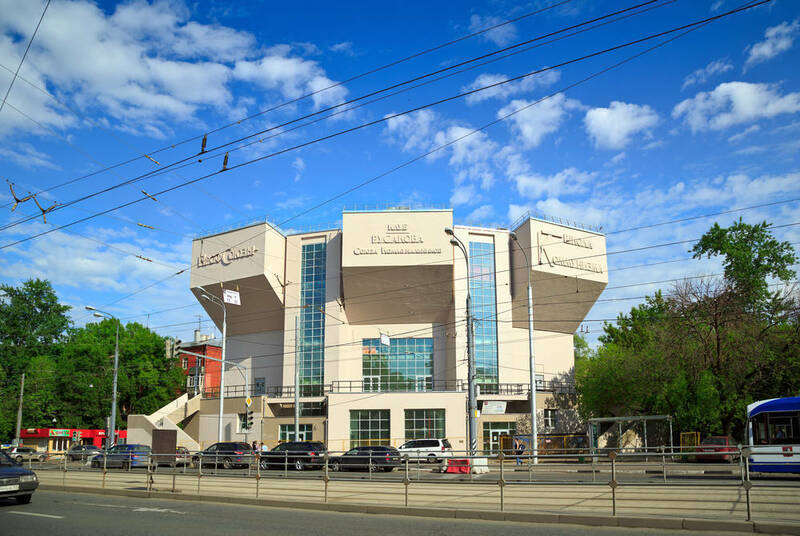 On the outside, the former club built for the workers of the Sokolniki district tram depot looks like a gigantic gear with a transformer auditorium hidden inside. 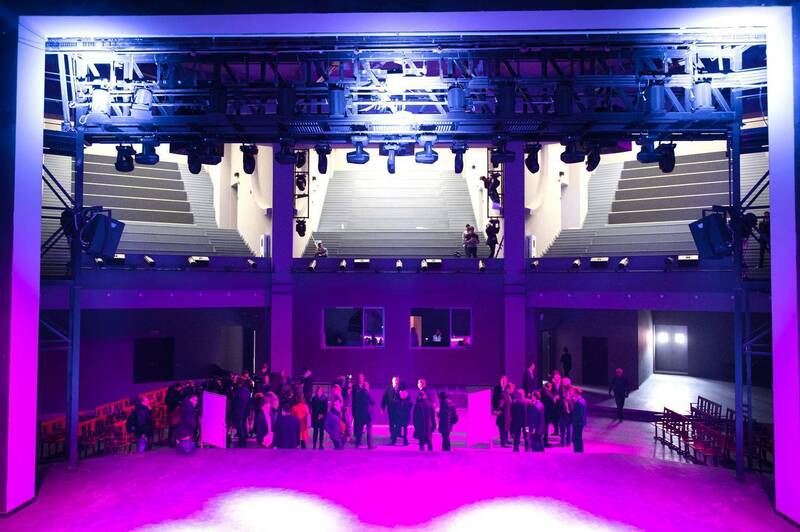 Here, for the first time in history, the balconies were withdrawn to the outside projections sticking out of the external walls of the building. 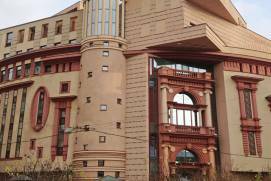 By the end of the 1990s, however, these innovative solutions, including a reinforced concrete frame, glass window-walls, the partitions and materials used in the structure were in desperate need of reconstruction and renovation. 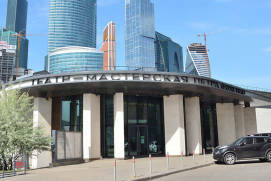 Since 2012, restorers have done tremendous work and have completely recreated this Russian avant-garde landmark. 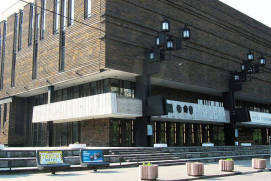 Since 2016 when the reconstruction was completed, the Roman Viktyuk Theatre is one of the most high-tech theatrical venues in Moscow, and the former Rusakov Workers’ Club has every reason to be proud of its use of the latest technological advancements in terms of lighting and audio equipment, engineering systems and facilities for people with reduced mobility. 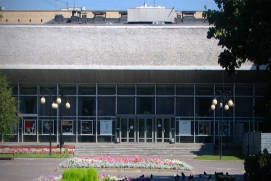 The Roman Viktyuk Theatre is also the first theatre in Moscow to make use of sunlight in its shows. 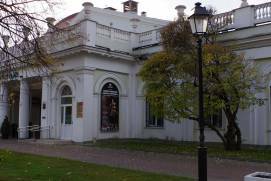 Roman Viktyuk has been following one unbroken tradition for many years, which is that his theatre releases a new production every year to celebrate his birthday, which falls on the 28thof October. 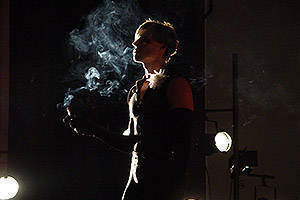 Therefore, there is always something new on at the theatre, and there is an incredible breadth of repertoire. 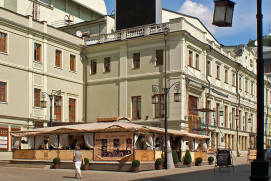 As well as the mind-blowing show The Maids, starring the new cast (Dmitry Bozin, Alexander Soldatkin and Alexey Nesterenko), spectators will enjoy the equally legendary SalomeRussian: Salomeya or Саломея, based on the eponymous comedy by Oscar Wilde, starring Alexander Dzyuba in the roles of the genius artist and of King Herod. 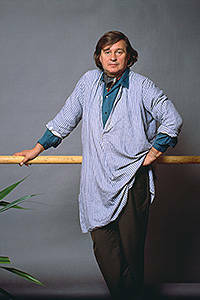 Roman Viktyuk also draws inspiration from poetry. 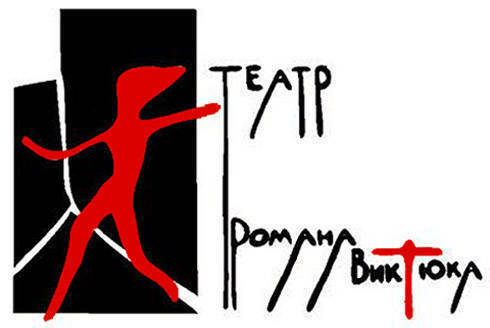 Among his new productions are the ‘spiritual mystery play’ PhaedraRussian: Федра (based on the tragedy by Marina Tsvetaevaa Russian and Soviet poet) and Sergey and IsadoraRussian: Сергей и Айседора, a somewhat fictional story of love and death based on the biographical materials and poems of Sergei Yesenin and Isadora Duncan’s book My Life. 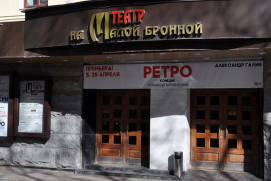 The issues touched upon by the Roman Viktyuk Theatre productions transcend time and politics. Aided by a team of like-minded people, Roman Viktyuk focuses mostly on exploring the complex aspects of creativity. 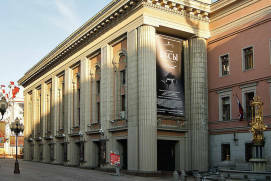 For example, he examines how a genius mind perceives the world in The Master and MargaritaRussian: Мастер и Маргарита or Exupery. 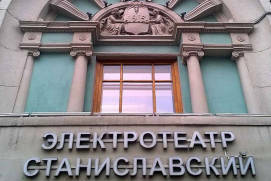 Up to the StarsRussian: Ekzyuperi. 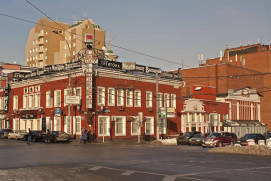 Navstrechu zvezdam or Экзюпери. Навстречу звездам. 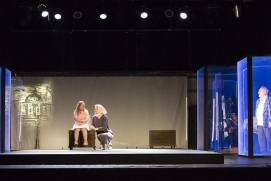 He exposes the woes and sorrows of small, lost people (as in The Beginning and the End of TimesRussian: V nachale i kontse vremen or В начале и конце времен, a play about life inside the Chernobyl Exclusion Zone) and ponders love, fate and everything ever deemed important to people across time. 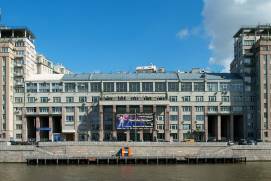 From 300 to 4000 rubles depending on visitor's category and programme of visits. 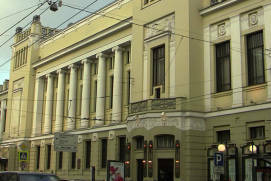 Photo and video filming is possible by agreement with the theatre administration.